Douglas B. Reeves is the founder of The Leadership and Learning Center. He has worked with education, business, nonprofit, and government organizations throughout the world. The author of more than 20 books and many articles on leadership and organizational effectiveness, he has twice been named to the Harvard University Distinguished Authors Series. 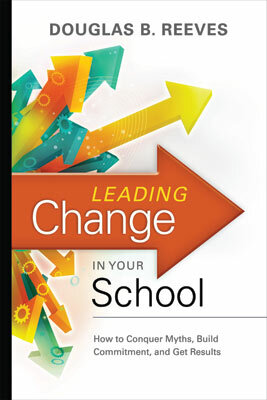 His monthly column on change leadership appears in Educational Leadership. Dr. Reeves was named the Brock International Laureate for his contributions to education. He also received the Distinguished Service Award from the National Association of Secondary School Principals and the Parents Choice Award for his writing for children and parents.